I see how the formula no longer has m in it. 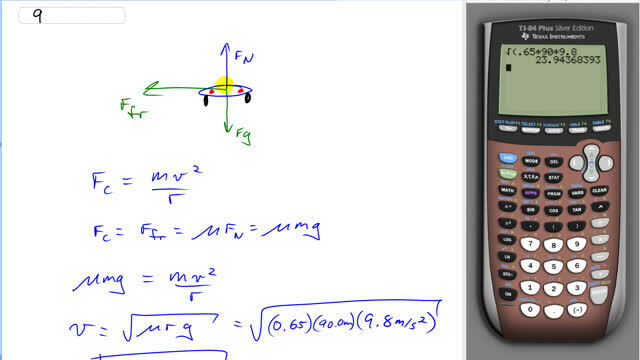 However, doesn't friction increase with greater mass which then changes the maximum velocity? It seems strange, but true, that mass doesn't affect the maximum velocity. Keep in mind that the friction we're speaking about here is normal to the velocity. In other words, the static friction is perpendicular to the direction of motion. We're speaking only about the friction that changes the direction of the car, so this friction has no effect on the speed. On the other hand, you might be thinking about "rolling friction", or perhaps "air friction", or in other words the frictions that cause things with wheels to slow down and eventually stop. These types of friction are directed opposite to the direction of motion, and so they indeed do slow the car down. These types of friction are not considered in this question. Rolling friction, indeed, would increase with mass.